What? Enjoy a different sort of hotel experience at Sweden’s floating hotel Salt & Sill. 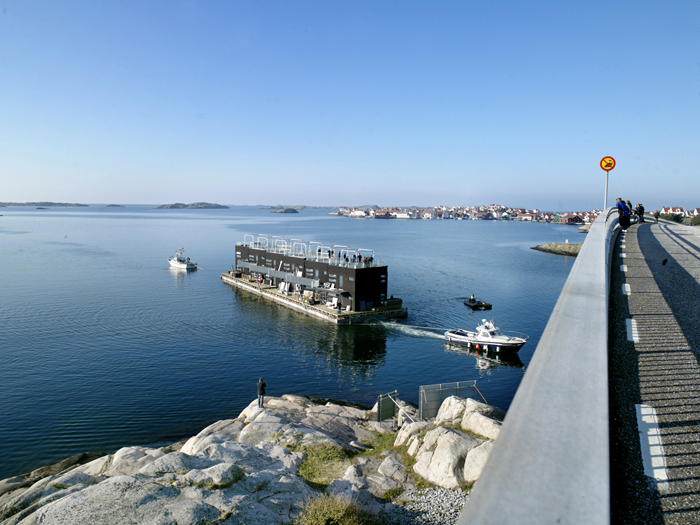 Located on the herring island of Klädesholmen, the hotel is comprised of six two-storey buildings on floating pontoons. Each room has its own entrance, sea view and patio space. There’s also access to a floating sauna, the world’s fastest.